Freelance Illustrator and Graphic Design service for your business needs. 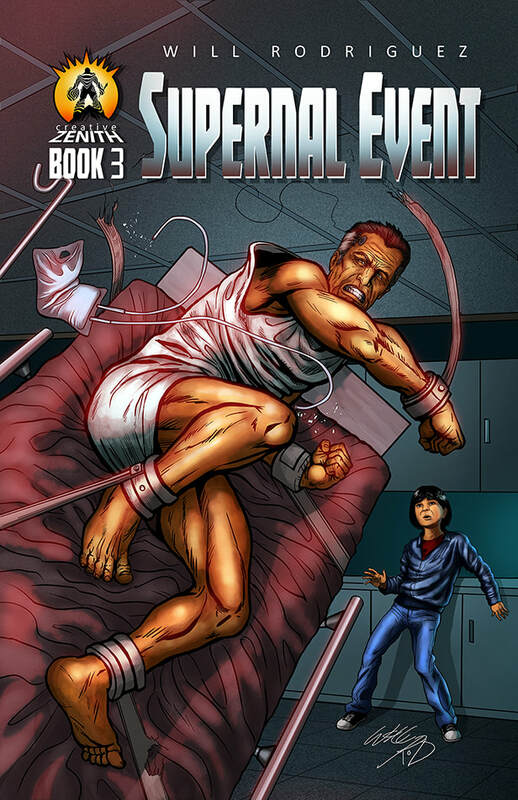 The story continues from Book 2 where Jon Spalda is a victim of an attack by two individuals that are determined to take his supernatural abilities. Jon Spalda unable to defend himself; must find a way to survive before the two arrive to finish the job they started. BOOK 1 and BOOK 2 NOW Available in Print! Check out at our online store!!! If you want a tangible comic to read in your hands, there is an option to buy a hard copy right here in the online store. Order today while supplies last! 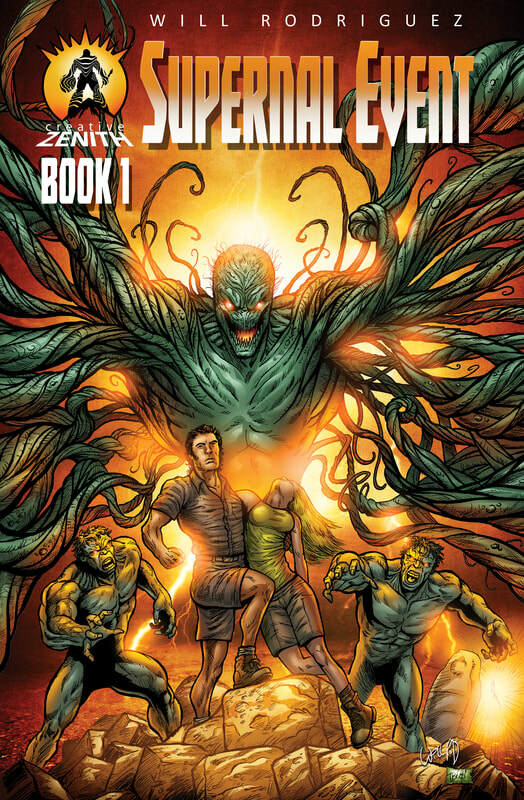 For those that want a digital version to take on the go, I am offering a digital copy of Book 1 FREE of charge in hopes that you will spread the word of this new and exciting comic book Universe! 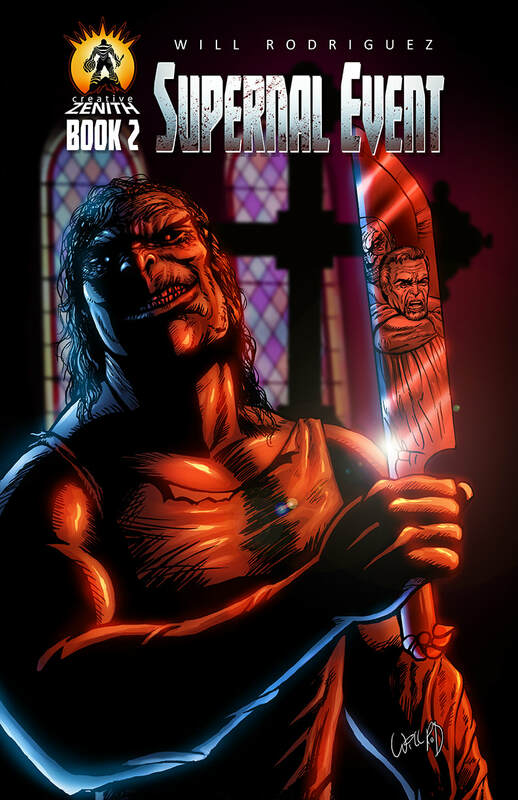 Click on the ComiXXcentral banner below to get your Free digital copy, and to order other issues of Supernal Event. I hope you enjoy the book and thank you for the support! Breaking down my art process. Graphic Designer, Painter, Visual Effects Compositor. ABC 15. CBS 5, CW, 3TV Arizona's Family, Warehouse Anywhere, Life Storage, Show Me Oz (media Co.), Verizon, Sportsmens Tavern, Lace Up Promotions, Computers for Children, Inc, University Pediatric Dentistry, Life Storage, Visions Art Group, Madefire and Empire Visual Effects. Visit the Gallery for more art work. - Chris Chavez, producer and co-host Back Issues Comic Book Podcast.